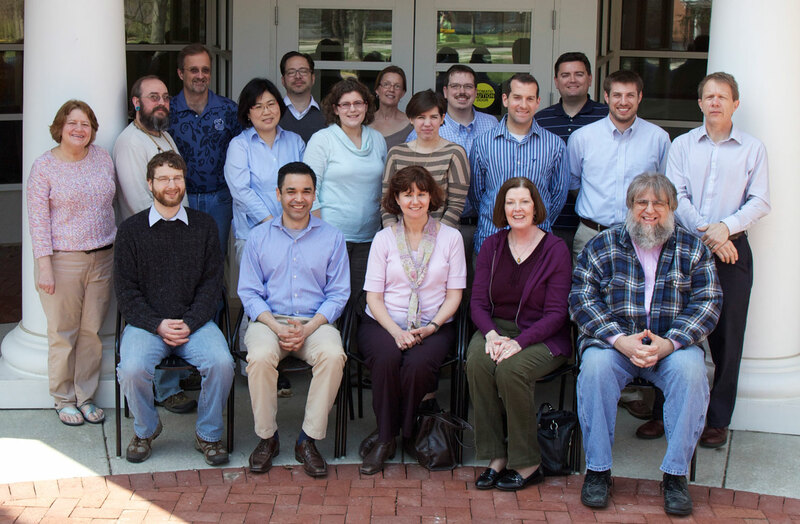 Theological librarians in the 21st-century play an essential role in theological education. Institutional standards developed by the Association of Theological Schools (ATS) highlight the centrality of the library for theological scholarship and education. Librarians serve at a nexus of faculty, student, and institutional instructional needs. This colloquy will explore the vocation of theological librarianship and promote the development of strategies and skills for increasing the effectiveness of librarians in the teaching and learning process in their institutional and professional contexts. Participants will receive a stipend of $1,500 for full participation in the colloquy, plus local expenses and travel. We are limited in paying stipends to participants who are teaching in the U.S. under an H-1B visa. The colloquy is sponsored jointly by the Wabash Center and the ATLA. Front row (left to right): Karl Stutzman (Anabaptist Mennonite Biblical Seminary), Miguel Figueroa (ATLA representative), *Amy Limpitlaw (Boston University School of Theology), *Cait Kokolus (St. Charles Borromeo Seminary), Lyle Buettner (Concordia Seminary). Second Row: Jane Pinzino (Earlham School of Religion), Nicholas Weiss (Naropa University), Jaeyeon Lucy Chung (Garrett-Evangelical Theological Seminary), Christina Geuther (University of St. Mary of the Lake), Kelly Riddle (Boston University), James Humble (St. Charles Borromeo Seminary), Matthew Thiesen (Golden Gate Baptist Theological Seminary), *Paul Myhre (Wabash Center staff). Third Row: Matthew Collins (Candler School of Theology – Emory University), James Estes (Wesley Theological Seminary), Sandy Shapoval (Phillips Theological Seminary), James Darlack (Gordon-Conwell Theological Seminary), Matthew Wasielewski (Gordon-Conwell Theological Seminary).